Leaves are falling and the evenings are getting chilly, at least in this part of the world. The children are back in school and their grownups are back from escapist trips, plucking the sand from their memories and wiping sunscreen from their daydreams. 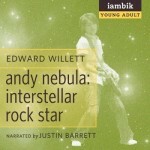 Andy Nebula: Interstellar Rock Star by Edward Willett. 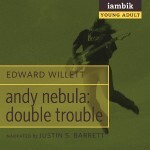 Narrated by Justin S. Barrett. 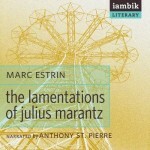 The Lamentations of Julius Marantz by Marc Estrin. 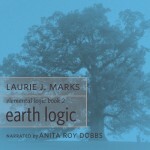 Narrated by Anthony St. Pierre. 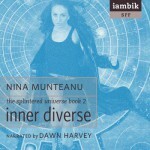 Published in print by Unbridled Books. 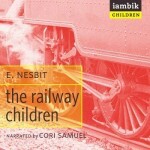 The Railway Children by E. Nesbit. 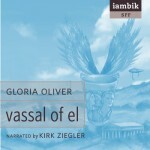 Narrated by Cori Samuel. In this classic children’s book by E. Nesbit, three children are suddenly uprooted from their happy suburban life to move to the country with their mother. Their new house, “Three Chimneys”, is near a railway line, and Roberta (Bobbie), Peter and Phyllis (Phil), find amusement in watching the trains and waving to the passengers. They become friendly with Albert Perks, the station porter, and with the Old Gentleman who regularly takes the 9:15 down train. The children get involved in all kinds of good deeds, while their mother is busy writing children books. 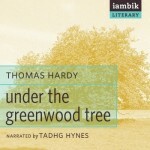 Under the Greenwood Tree by Thomas Hardy. 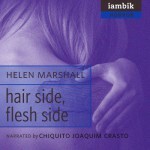 Narrated by Tadhg Hynes. Under the Greenwood Tree or The Mellstock Quire: A Rural Painting of the Dutch School is a novel by Thomas Hardy, published anonymously in 1872. It was Hardy’s second published novel, the last to be printed without his name, and the first of his great series of Wessex novels.